The Qolsys IQ Hardwire 16-F allows users to bring over up to 16 wired zones and use them with compatible wireless 319.5 MHz security systems. The module can also support up to ten 2-wire smoke detectors wired in parallel on zone 16's terminals. 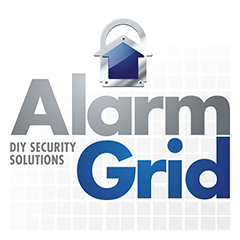 Buy the Qolsys IQ Hardwire 16-F from Alarm Grid. The Qolsys IQ Hardwire 16-F Wired to Wireless Converter is used for making existing hardwired sensors compatible with a wireless 319.5 MHz system. The sensors will connect directly with the Hardwire 16-F, and the module will send a wireless 319.5 MHz signal to the panel on behalf of each zone. The IQ Hardwire 16-F will work with any wireless alarm system that accepts 319.5 MHz signals. Some of the systems that operate at this frequency include the IQ Panel 2, the IQ Panel 2 Plus with 319.5 MHz daughtercard, the original IQ Panel and the Interlogix Simon Series Panels. If the module is used with the IQ2 or IQ2+, then the signal will utilize rolling code encryption for added security. Otherwise, signals will be sent without rolling code encryption. There are 16 total hardwired zones on the IQ Hardwire 16-F. Zones 1 thru 15 are for standard hardwired security sensors. This includes devices such as door and window contacts, motion sensors, glass break sensors and more. Normally Open or Normally Closed wiring can be used. Each zone must have a 4.7k resistor wired in parallel (NO) or series (NC). The necessary resistors come included. Note that a 4.7k resistor with 5% tolerance is color-coded yellow-violet-red-gold. Zone 16 is also supervised using a 4.7k resistor and can be wired Normally Open with the resistor in parallel. It is designed specifically for use with 2-wire smoke detectors. Up to ten 2-wire smoke detectors can be wired in parallel through these terminals. The smoke zone supports System Sensor 2W-B, 2WT-B and 2WTA-B models. Different detector models should not be mixed on the same zone. Please note that 4-wire smokes and carbon monoxide sensors cannot be used with the IQ Hardwire 16-F.
For power, the IQ Hardwire-16F uses a 16.0VDC plug-in transformer. It is recommended that a user add a 12VDC 5AH Max backup battery to keep the module running in the event of an electrical outage. A backup battery does not come included with the device. There is a 500 mA power output, for devices that require power such as motion detectors and glass break detectors. There is also an auxiliary relay output rated at 12VDC 500mA which can be used to add an additional siren. This relay is triggered wirelessly by the Qolsys IQ Panel 2, and will follow the alarm panel siren sounding. In addition, the Qolsys Hardwire 16-F has both a negative and positive trigger input, which can be used to activate the siren relay. Additional power may be needed for some external siren applications. The module measures in at 5.5" x 3.5".